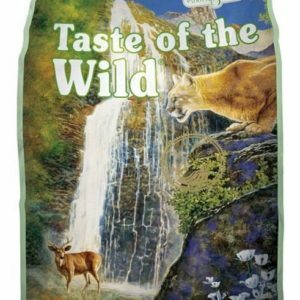 A great tasting complement to the Rocky Mountain Feline Dry, or a standalone diet for your special cat. 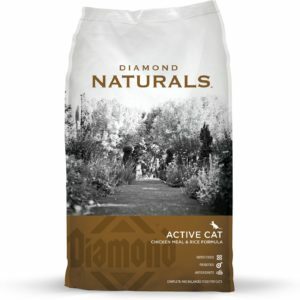 The combination of animal proteins will provide your cat with ideal protein nutrition for a lean body condition and optimal amino acid nutrition. 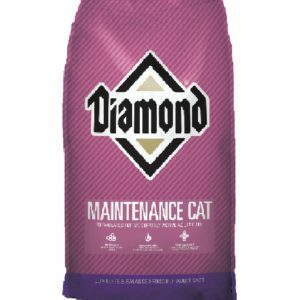 Vets recommend feeding wet food as part of your cat’s diet to lower carbohydrate intake and to increase water intake, both important features in feline nutrition. 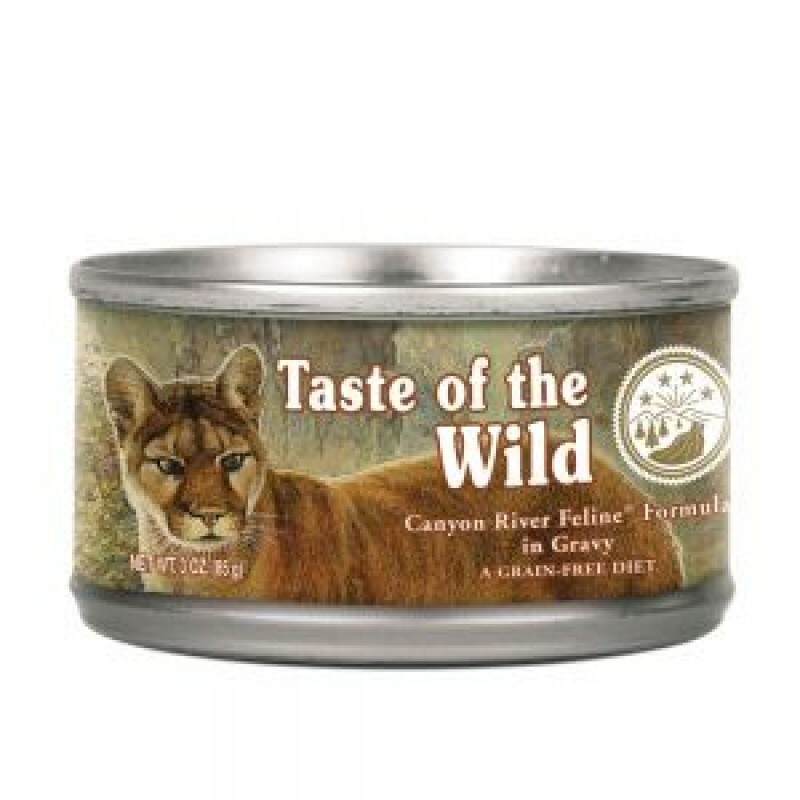 Satisfy your cat’s nutritional needs by feeding this Taste of the Wild Rocky Mountain Feline Formula in Gravy along with Rocky Mountain Feline Dry. Salmon, fish broth, chicken broth, chicken liver, chicken, dried egg white, ocean fish, peas, modified potato starch, natural flavor, roasted salmon, roasted venison, guar gum, calcium carbonate, potassium chloride, yucca schidigera extract, dried chicory root, choline chloride, taurine, tomatoes, blueberries, raspberries, iron proteinate, zinc proteinate, manganese proteinate, copper proteinate, sodium selenite, calcium iodate, thiamine mononitrate (Vitamin B1), niacin supplement (vitamin B3), vitamin E supplement, calcium pantothenate (vitamin B5), pyridoxine hydrochloride (Vitamin B6), riboflavin supplement (vitamin B2), biotin (vitamin B7), vitamin B12 supplement, vitamin D2 supplement, menadione sodium bisulfite complex, folic acid (vitamin B9). Calorie Content: 970 kcal/kg, 82.5 kcal/can (3.0 oz) Calculated Metabolizable Energy. 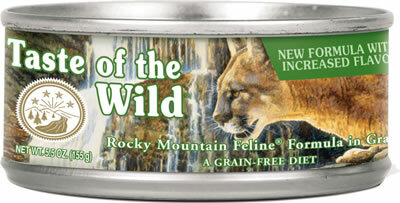 Taste of the Wild® Rocky Mountain Feline® Formula in Gravy is formulated to meet the nutritional levels established by the AAFCO Cat Food Nutrient Profiles for growth and maintenance.